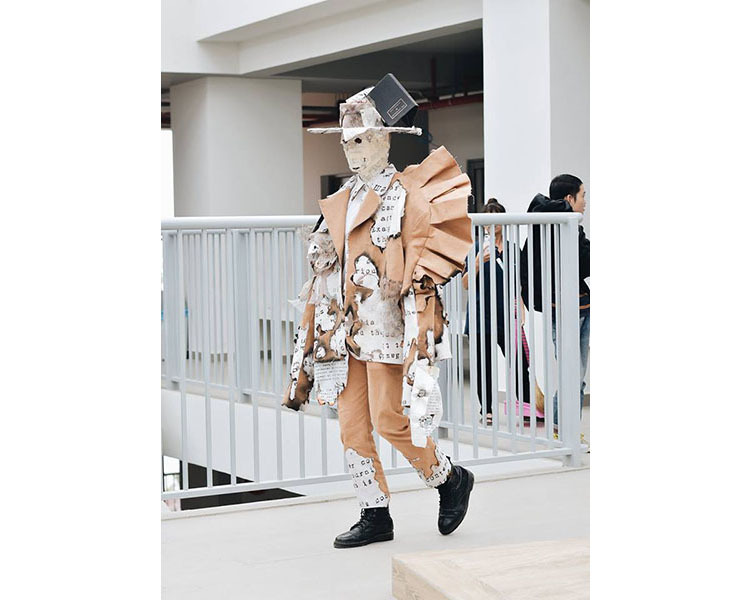 (Admission Office–Van Lang, 28/9/2018) – “WHEN FASHION MEETS ART” (IMPRESSIVE PROJECT) - is the final project before the graduation of senior students of Fashion Design (K21TT). 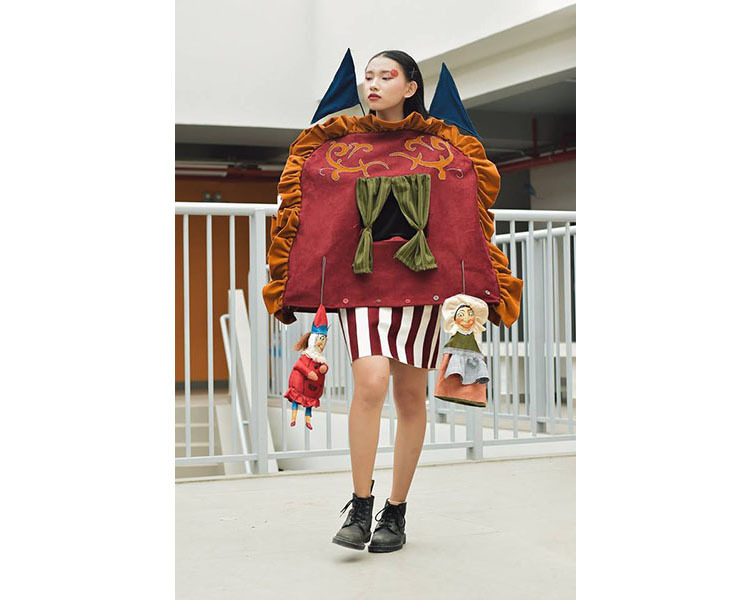 The project was first performed catwalk on the 12th floor, Block A, campus 3 (17/9/2018) has created a surprising feeling to viewers about the talents of Van Lang students. 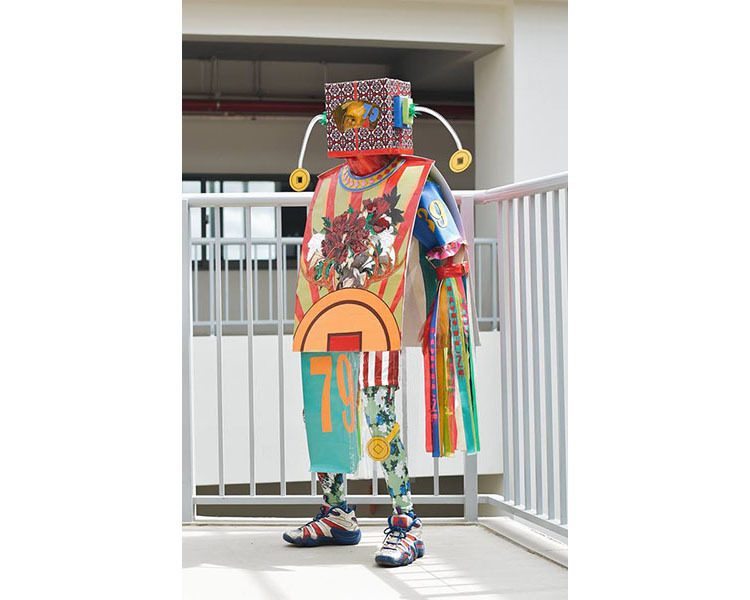 "Art Costume Design" are called "Impressive Project" by students. Unlike previous projects, this time, students will work 100% with the design, self-control of all moodboard boards, sketchbook, material suitable for ideas, solutions, phase to make real samples, performance, poster ... to become a work of art. The design process has lasted for two to three weeks, depending on the ability, ideas and complexity in technology of dress code of students of course 21. Students have many unique ideas, develop their ideas and express them through the research table system, outline. The biggest drawback of most students is the technical aspect, but there are really great designs! The idea originated from children's pure songs, with the smell of North West rice fields. Take pictures of the school children of Hmong on the shoulders of the mountains, the desire to go to school, the dream filled with paintings.Combine with the prominent features of the H'Mong ethnic group, the design provides visual colorful and vibrant visibility. Sculpteur Textile Art by sculptor Anne-Valérie Dupond is the main inspiration in this project. Her works bring intense and dynamic creativity, by randomly arranging sculptures with different ratios on the human body that will produce dramatically different improvisational and impressive design of structure.. The project was inspired by the burning of the book, called "cultural purge." The flames flared from the new books and were thrown into the fire, and cultural values disappeared forever. Kiet took 3 weeks to complete the work. The project idea is from skeleton structure which combines with Victorian fashion. (1890). New Romantic is a lifestyle in the 80s. Designed with the desire to revive a style of the past; Combine with cubic geometry (square, round, triangle) to create a new breeze. The project is inspired by the famous Harbin Opera House - "Future Trade Center". Contrastive design: silver-white exterior is full of artistic with sense of future, the interior is made entirely of rustic wood, simplicity, works as a reminder: Technology should connect closely and harmonize with nature. The project is inspired by the traditional Japanese Daruma doll, adapted from Bodhi statue. This doll is usually made of wood, round shape, painted red, with no limbs, face with empty eyes and large black mustache. The project draws ideas from the textbook elementary school, convey the fatigue, pressure in learning. 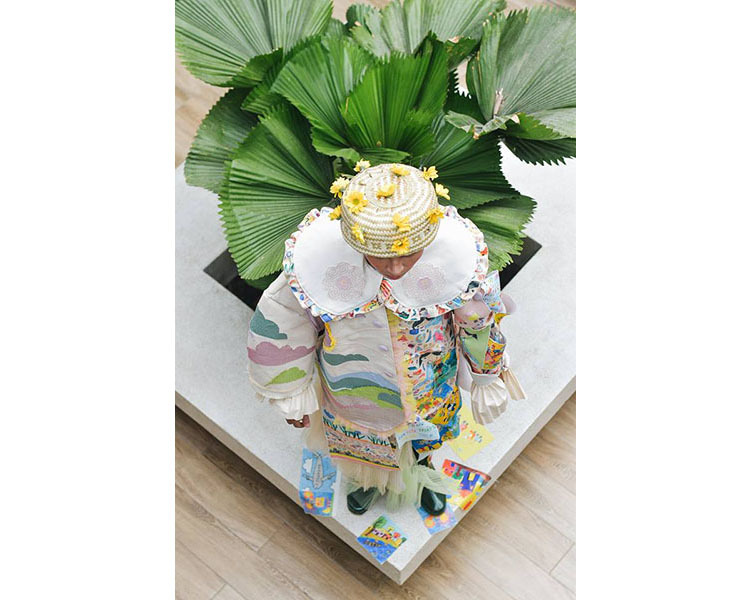 The project is encapsulated in the robot model combined with the lucky symbols of the goddess in oriental culture (peony, deer, coin ...) and with cheerful, younger clolour. The idea of the cocoon is through two stages: cocoon and cocoon are separated. The design is in white color, the combination of medium hardness material and thin, transparency material and the method to create blocks, surface handling of lace material to describe the cocoon block. The costumes is strong in cubles, it not only shows the toughness of the cocoon shell, but the softness of the silk threads. The project is inspired by the architecture and sculpture of Greece. The project is inspired by the concept of "bipolar disorder" - is a form of psychiatric illness that expresses a marked change between happy and depressed moods. 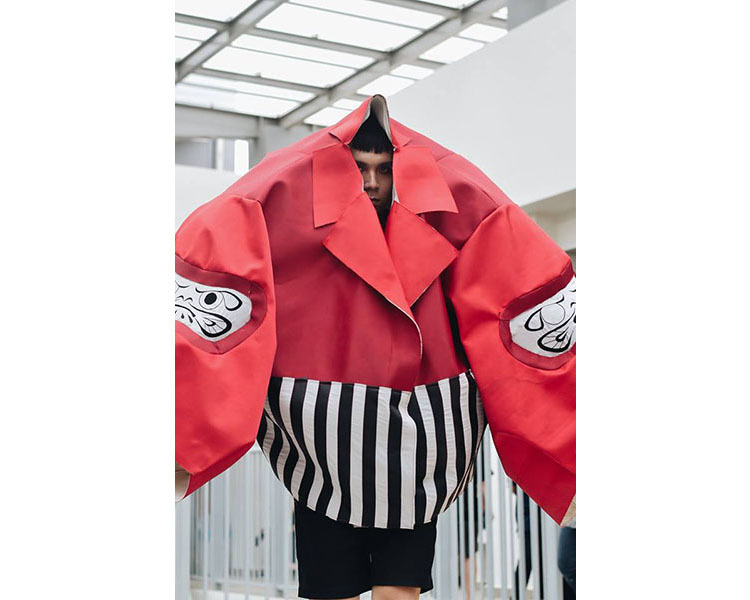 The project was inspired by the Japanese half-man Ootengu, transforming traditional Hakama costumes into Western European suits. The project was inspired by the Christmas Eve party, set in Denmark in the 1850s and 1860s. wide skirt section, multi-layerare typical female dress. Suit, men's trench coat; combined with the caro pattern - a outstanding characteristic of the same time. "It took me about 2 weeks to complete the real sample of this project. I feel a bit difficult because of the lack of personnel. The main design is to pedal fabric into small pieces and then proceed to assemble each small piece to create a dress so it takes a lot of time. In particular, I want the costume to change color from the neck down. Each small piece of cloth consists of an parachute farbic layer and four layers of mesh cloth that overlap each other, in which there are two colors and other two colors to create the dithering"
The art design project for the senior students is challenging because of the difficulty and convenience because you are using all the knowledge and skills from many projects three years ago. Students are excited about the idea and invest wholeheartedly in their art product. Mr. Kiet shared, "As a senior student, we have accumulated more experience. With this impressive project, I personally feel not as difficult as the first projects. This is the first time to perform costumes that are highly artistic, not applied so there are many new things, it ‘s a little bit surprised but I am happy to show my ego more. " For the first time, the impressive costumes were performed in 11 hours. Fashion Show is catwalk at the 12th floor, Block A, campus 3. Previously, Facility 3 also became a “virtual studio" to shoot photo for the project of Fashion Design student. . Taking advantage of study place, students have applied their creative ability, beautiful places as well as their artistic eyes for the best results. Runway pictures during the show The impressive project of Van Lang students on September 17 shared on many social networks. 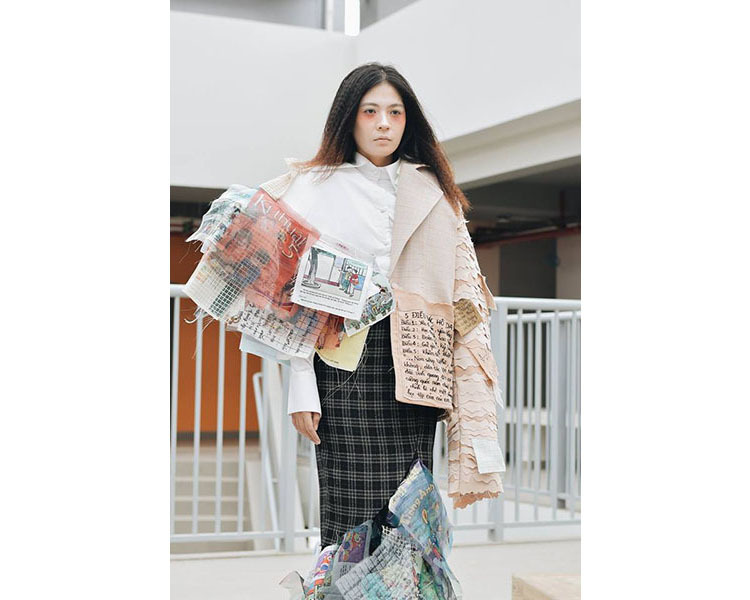 Fanpage Lanman, who specializes in reviewing artwork, shared the show's image, posters, moodboards, sketches of projects and gave praise to students of course 21th at Van Lang University. "This is the final project, "struggling" before you embark on your upcoming graduation project. Lanman has to gasp!" 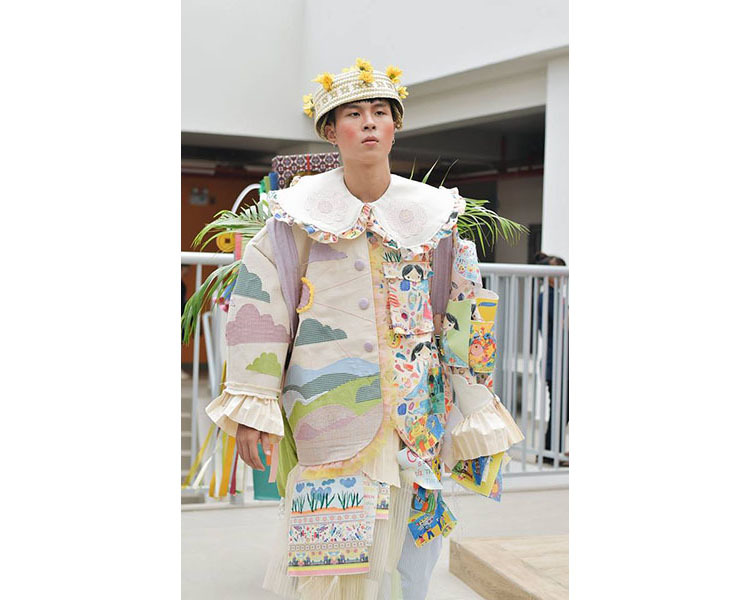 Saotar newspaper also praised the project at the 3rd campus: "To admire the fruits of labor and creativity of students of Van Lang University, many people mistakenly think they are watching the fashion show Games fully artistic . " Recognition and encouragment are the joy and motivation for future young designers. Although it was just a demo, 11 hours. Fashion Show periodically of Fashion Design with students of the 21th course, this impressive project is especially as its name, since this is the final subject project before you carry out graduation project- the Final project of student’s life. Is it reason why the Meet Art Project was invested so splendidly, so impressively? - from the heart and enthusiasm of span of student time, to prepare for the most important breakthrough coming event. Wish you success and shine!